Talking about docker concept , how install it. In this post i will talk about Docker Services. as already mentioned above this post i will describe the level up about docker which is services which mean scale the application and enable load-balancing. When i will need to create a services ? 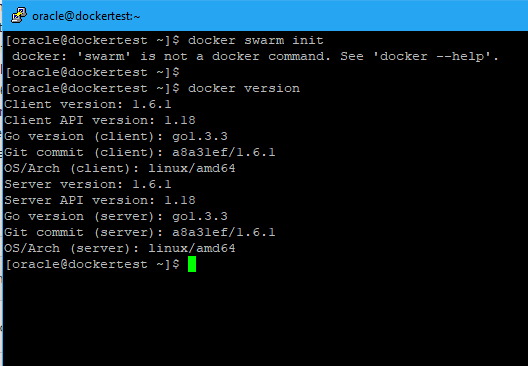 To deploy an application image when Docker Engine is in swarm mode, you create a service. Frequently a service is the image for a microservice within the context of some larger application. Examples of services might include an HTTP server, a database, or any other type of executable program that you wish to run in a distributed environment. But First Let’s Understand what is the docker services ? Before configure any docker services there is file called “docker-compose.yml” it’s define how the docker container will behave in the environment. the below example show you how the file looks like ( taken from docker documentation), at the first look you will understand anything but luckily it’s very simple and easy to understand it. username/repo:tag –> should be replaced by your image information. run the same image as 5 instance and the main name will be “web”. Limitation will be 10% of CPU and 50 MB for each instance. the instance will be restarted on failure. mapped to port 4000 outside of docker, 80 inside the image. the load balancer will be mapped also on port 80 as you see from network section called webnet. you have to upgrade your docker as method number#1 or uninstall it then install the newer version, after doing that and make sure you run the above command to ensure you will not get any error like “this node is not a swarm manager.” you can run the next command that allow you to create services. where myfirstapp is my application name. Search for our services name that are deployed called web with the application name which is myfristapp it will be like this myfirstapp_web. Several times in a row, or go to that URL in your browser and hit refresh a few times.